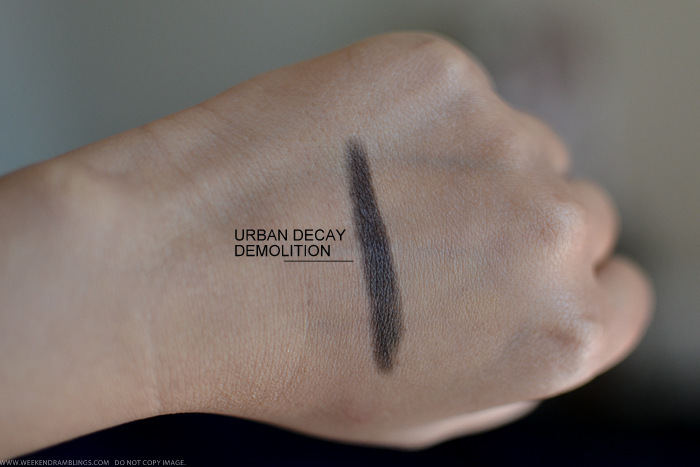 Urban Decay Glide-On Pencil Eyeliners are among my favorite makeup products - so much so that I bought the UD Vault when it first came out. 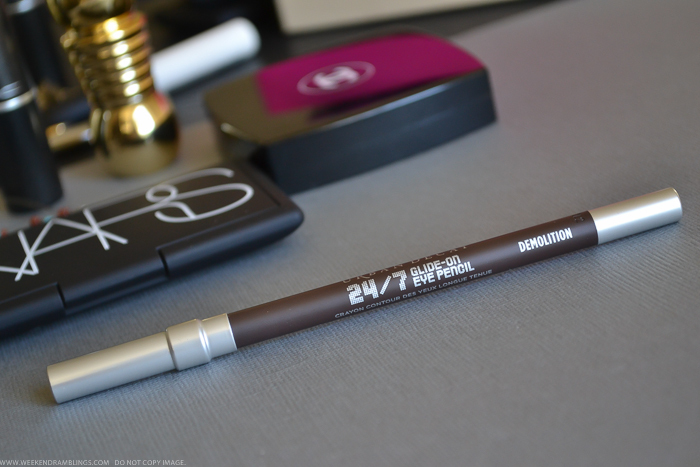 While I can't say that I need/want or will use every color in the UD eyeliner range, there are a couple of colors that I absolutely will repurchase. Demolition - a deep matte brown - is definitely on that list. 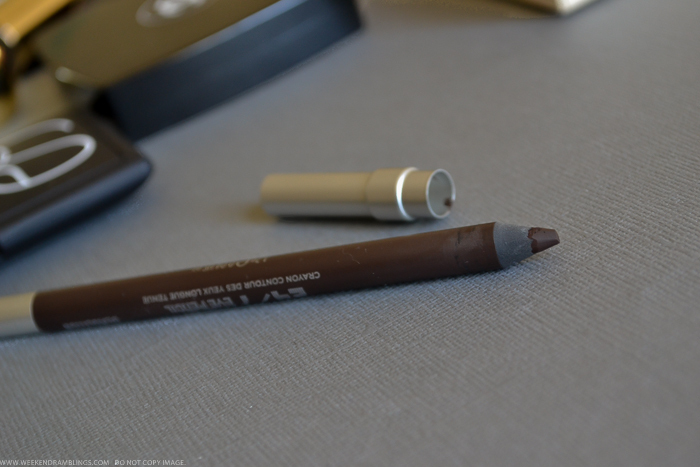 It's a dark enough brown to show up on my darker eyelids, but it isn't as harsh as a black eyeliner, so it's the perfect color for me to use when I want a smudgey/thick line along my lashline and also along the waterline. I love the dark, smudgey kohl-rimmed eye makeup look, but using a black eyeliner to do that doesn't really look that great on my eyes. Demolition, on the other hand, gives the dark definition I want without looking like too harsh. There is no shimmer, so it is safe to use along the waterline too. The formula is fabulous, gliding on the lids without any tugging or pulling, and the liner stays put all day long (does tend to fade a bit in warmer weather - oily eyelids). 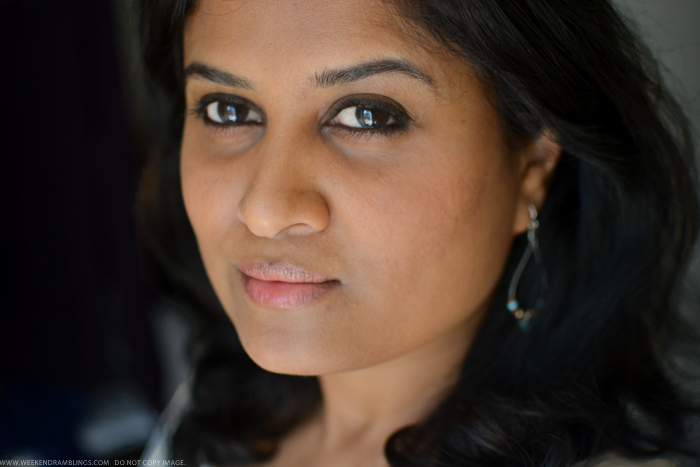 Do give this a try if you are looking for a longer lasting dark-but-not-black eyeliner. That's my favourite brown too, dark and rich but still not as harsh as black!